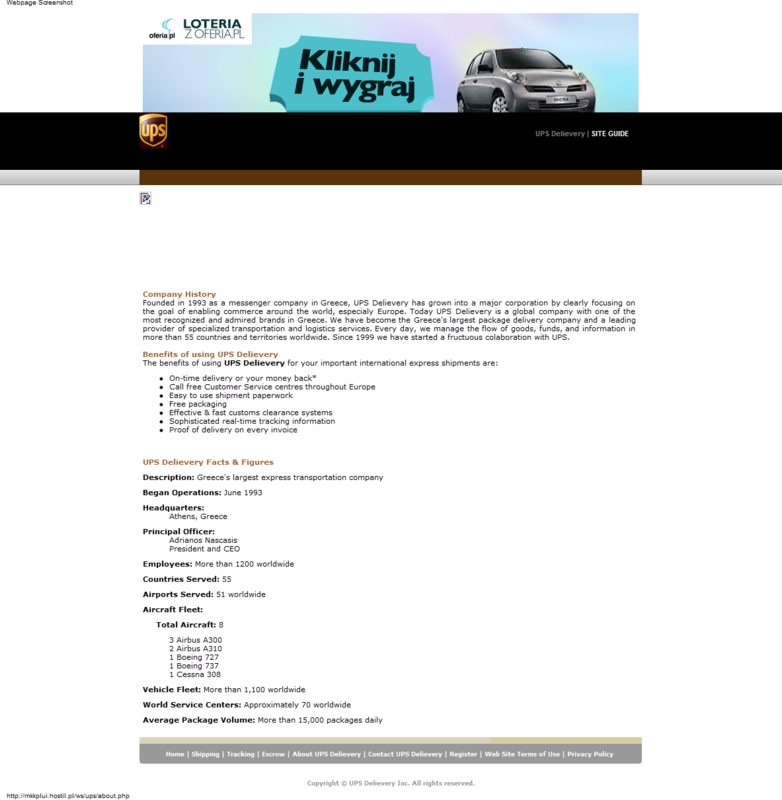 I wonder if the advertisers in Poland know their ads are supporting fraud. UPS Delivery reduces the potential risk of fraud by acting as a trusted third party that certifies that the merchandise is according to the agreement between the buyer and seller. 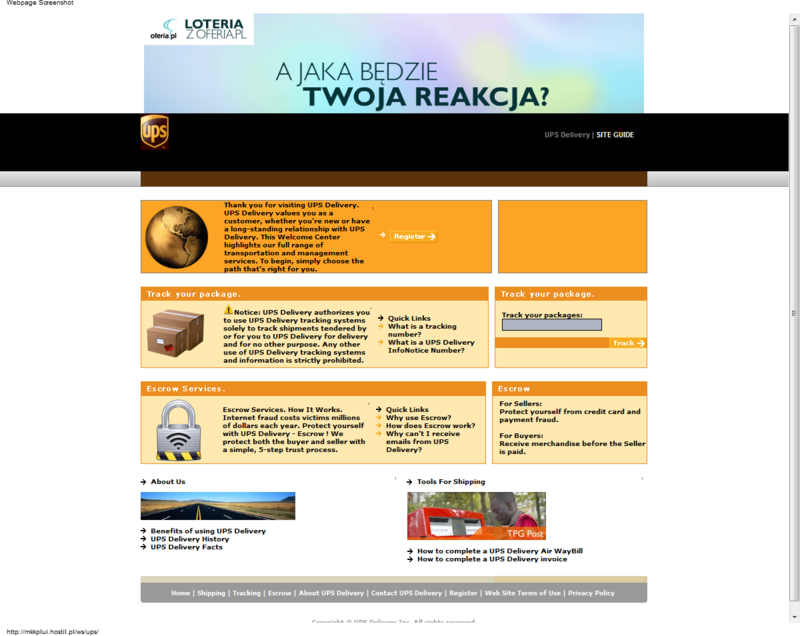 UPS Delivery will guarantee that the merchandise will be delivered to the buyer according to the agreement. 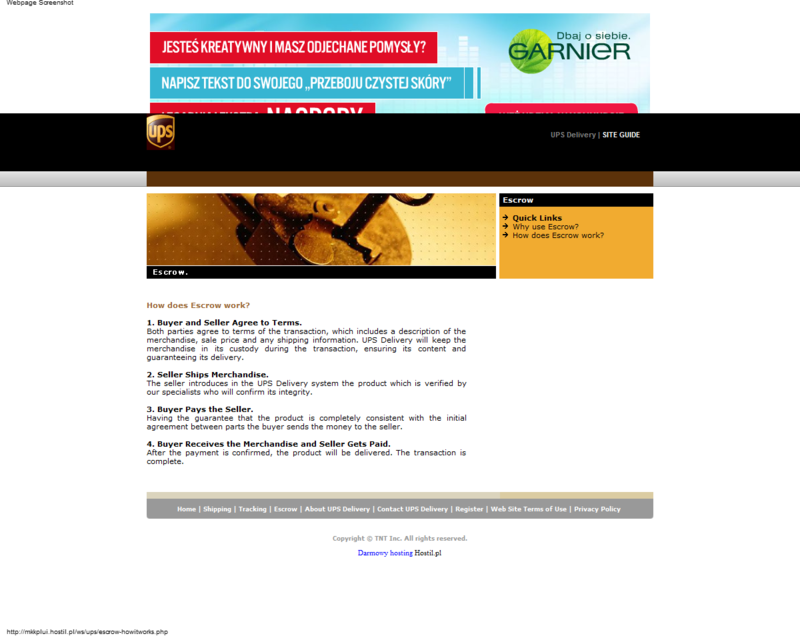 Buyers have the guarantee that they will receive the merchandise according to the agreement. Sellers have the guarantee that they will receive their money. Founded in 1993 as a messenger company in Greece, UPS Delievery has grown into a major corporation by clearly focusing on the goal of enabling commerce around the world, especialy Europe. Today UPS Delievery is a global company with one of the most recognized and admired brands in Greece. We have become the Greece's largest package delivery company and a leading provider of specialized transportation and logistics services. Every day, we manage the flow of goods, funds, and information in more than 55 countries and territories worldwide. 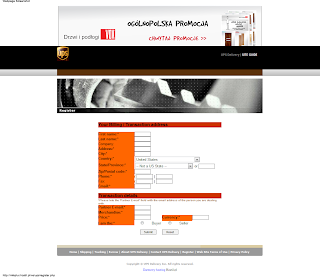 Since 1999 we have started a fructuous colaboration with UPS.